Wells Fargo, scrambling to cut costs and offset soaring legal expenses, plans to pull the plug on 800 more bank branches by 2020. 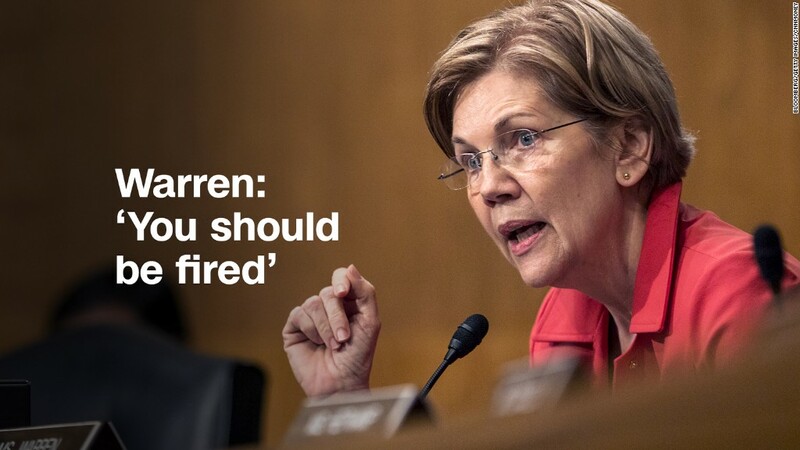 The planned closings, announced on Friday, will leave Wells Fargo (WFC) with about 5,000 branches. The bank closed more than 200 branches last year, but still finished the year with more than 5,800, the most in the United States. 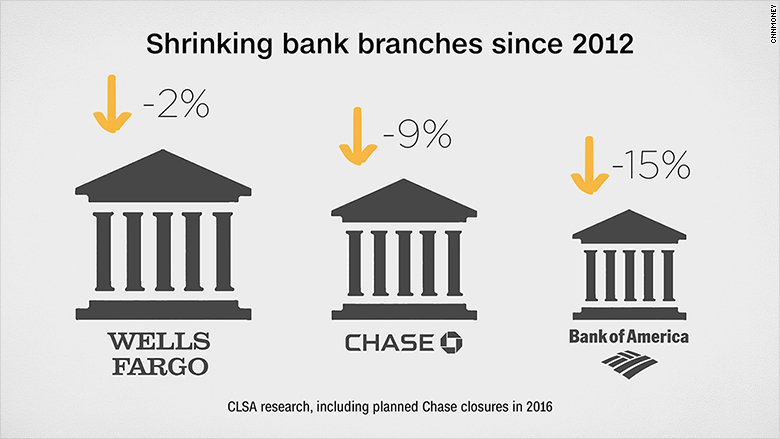 By comparison, JPMorgan Chase (JPM) closed 9% of its branches over that span, while Bank of America (BAC) shuttered 15%.